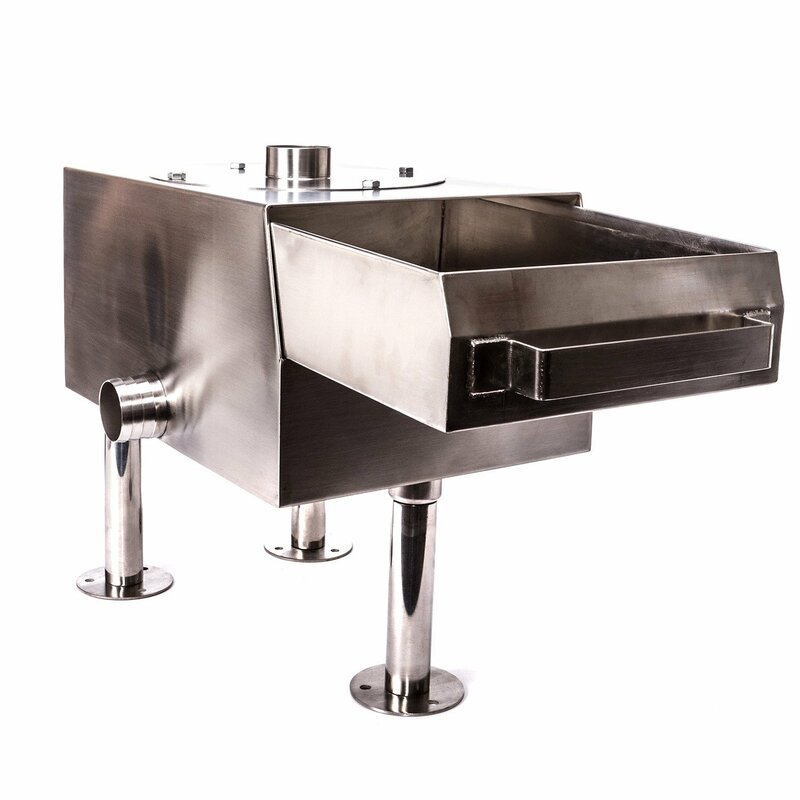 When you need to protect the grease trap and the drains in your commercial kitchen from getting clogged by multiple sinks, but a limited amount of space underneath your sinks is an issue, The Drain Strainer™ Compact is the best food scrap collector solution. The shorter 6″ legs on the Compact give it the lowest possible profile to the floor so you can drain multiple sinks into it. The flanged feet on the bottom can be bolted to the floor for added stability. Other drain straining products can’t provide the same level of protection as The Drain Strainer™. To prevent having to spend money hiring someone to clean your grease trap or clear your drain lines as often, choose our high quality drain straining system for your commercial kitchen. You’ll see why our effective and affordable drain solution is the most trusted system to keep your commercial kitchen running smoothly. We also offer a wide variety of other drain straining solutions for protecting commercial floor and wall drains, garbage disposals and grease traps. We help your business save money in replacement costs by preventing draining issues in your kitchen or bar.